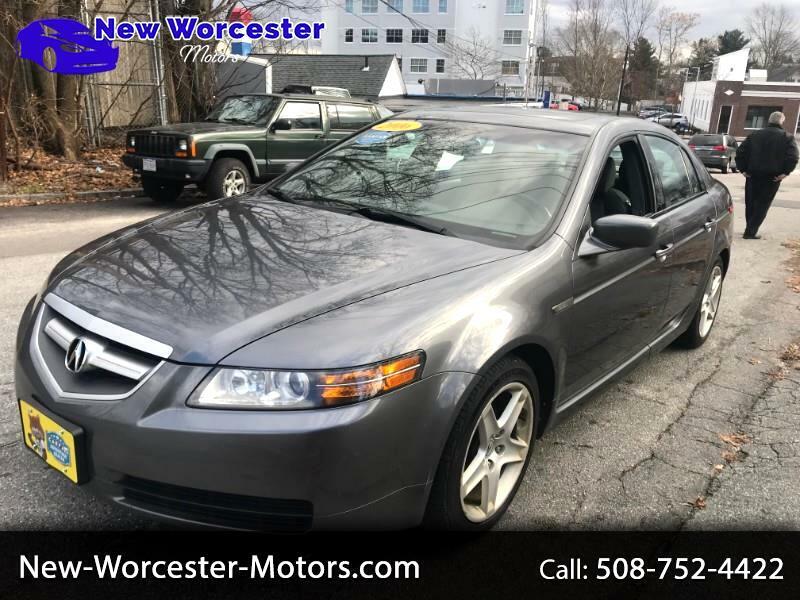 This 2006 Acura TL has 112,000 miles and runs excellent. This vehicle has been fully serviced including the fluids flush and changed. The Charcoal Gray with the Black interior makes this vehicle looks great. Its equipped with Power Tilt/Sliding Sunroof, Heated Leather Seats, Air Conditioning; Power Windows; Power Locks; Power Steering; Tilt Wheel; Satellite; AM/FM Cassette/CD; AM/FM CD/DVD; Immobilizer; Keyless Entry; Alarm; Dual Airbags Front Head and Side; Active Seatbelts; Passenger Airbag Sensor; All Wheel ABS and much more. Give us a call to schedule a time to come see and drive this vehicle!